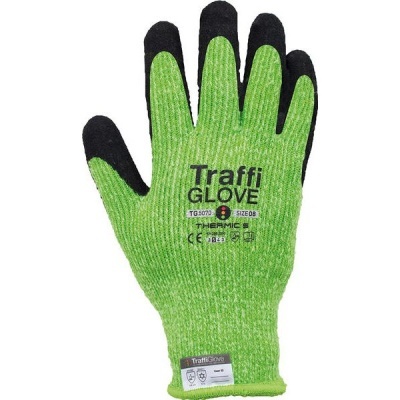 Providing warmth through their insulating material, the TraffiGlove TG5070 Thermic Cut Level 5 Safety Gloves are perfect for general work in cold conditions. 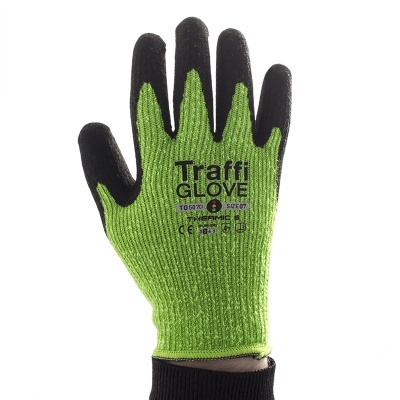 Specially designed for comfort, the rubber coating and X-Dura latex coating ensure superb levels of grip. 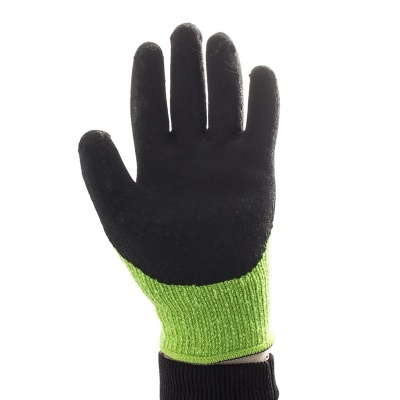 Finally the brushed acrylic lining works to protect hands, adding to gloves that already insulate and provide comfort. 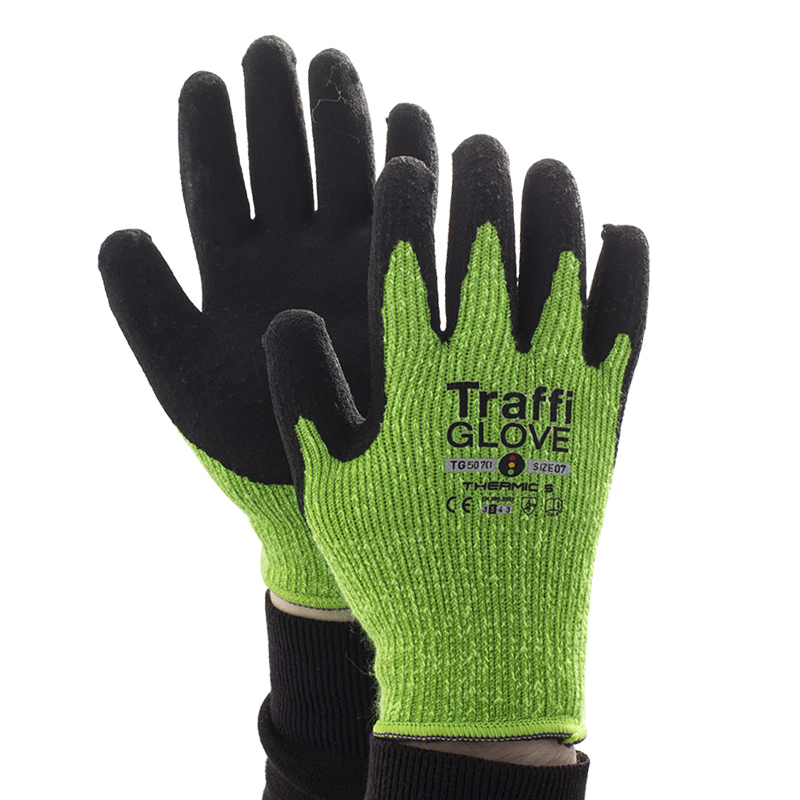 The TraffiGlove Thermic Cut 5 Gloves are available in six sizes that should suit the hands of most users. Please measure the circumference of your hand around the knuckles (excluding the thumb) with your hand open and your fingers together, and the length of your hand from the tip of your middle finger to your wrist.